While pirates are busy trying to get there hands on free cracked copies of Adobe Creative Suite by any means, the company shocked everybody by putting direct download links of Adobe CS2 product lineup with genuine serial keys for activation on an publicly accessible webpage. 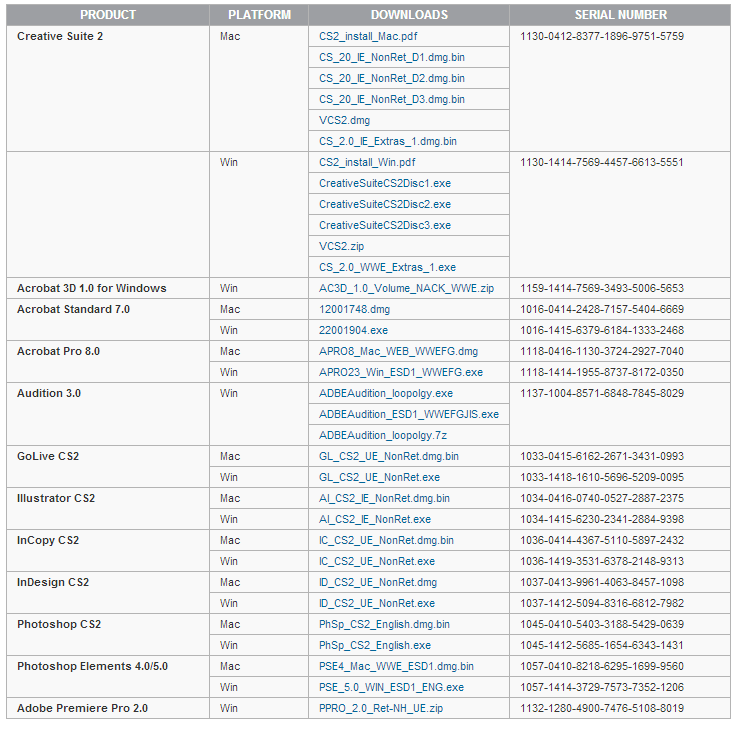 To grab any/all product from Adobe CS2 line of products (Photoshop, Illustrator, InDesign, Acrobat, Premiere and more) for Windows and MAC - all you need to do is download them directly from Adobe servers and activate using the keys provided alongside. While the page is still online for anybody to grab their free copies, there's a technical catch. According to Adobe's spokesperson this page is meant only for existing paid users and the reason for this to be online is because they have shutdown the CS2 activation servers. So, basically while this publicly accessible webpage with all the genuine activation keys is not for everyone, nobody's stopping anybody from treating this as an 'Free Adobe CS2 Software for Everyone' offer. New technologies grow day by day in internet and telecommunication world.Adobe products are really easy to use and totally free.